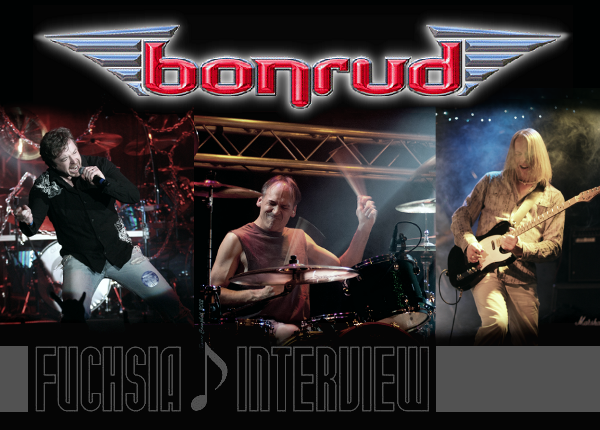 Fuchsia has interviewed Paul Bonrud from BONRUD. Let's find out the inside story of the new album "Save Tomorrow". Thank you so much for being with us here. First of all I would like to ask you about the band name BONRUD, it’s also your name. I recognized it was shown BONRUD [bon-rood] on your website. But it’s written in Japanese ボンラッド [bon-rudd] on the album Japan version which will be released on September 26th. Actually how do you pronounce it? It’s pronounced "Bon Rood" or "Bon Rude". It’s a Norwegian name. What made you launch the melodic rock project at the first place? Writing and recording melodic rock music is one of my greatest passions. I’m also really fortunate that I’m able to collaborate with fantastic musicians and music industry veterans like Keith Olsen, Richard Baker, Steve Hall, Eric Ragno, Rick Forsgren, and Paul Higgins. All of these guys are my friends so it was a lot of fun making the CD. This is my own personal band/project and I self-financed the entire project and wrote and recorded the album in a vacuum without any record label involvement. That’s the way I wanted it. I did this for fun and because I had a personal artistic vision that I was trying to achieve. Making the record was a lot of work but I couldn’t be more pleased with the end result. You have released the debut album in 2004 and the second “Save Tomorrow” this year. Both album were produced by Keith Olsen. Tell us about the background how did you get to know him. I met Keith at a recording studio nearly ten years ago while I was working on the tracks to the first Bonrud CD. We hit it off and became great friends. 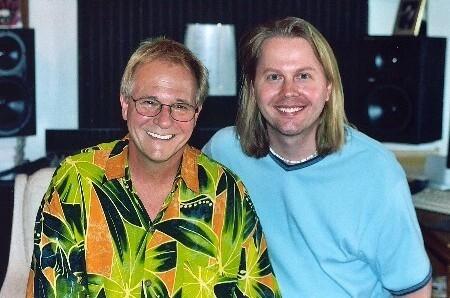 Keith mixed that first CD for me back in 2004 but he and I co-produced the new CD "Save Tomorrow". His production assistance on the new CD was invaluable and is one of the reasons why the new Bonrud CD sounds so good. He mixed the "Save Tomorrow" CD at Pogologo Studio in California. I really enjoy your amazing guitar playing and Rick’s 4 octave-voice on the new album. Tell us what your favorite song is. Thanks so much! Picking a favorite song on this CD is tough for me but I would say it would have to be “We Collide”, “Save Tomorrow”, or “End of Days”. I wrote “End of Days” for my wife. I wrote another song for her as well which is more light hearted but that has not yet been completed. I’m saving that one for the next CD! We can hear 80s rock sounds in your music. The 80s rock remains perennial favorites in Japan as well. Tell us what kind of charm in 80s rock still captures people. I think it’s the infectious melodies and positive energy that seem to characterize this style of music. Melody is very important and feeling good is too…that’s why I tend to prefer upbeat, positive music. We can see a superwoman, looks like the WONDER WOMAN, on the album cover artwork. Who designed it anyway? Which is more fun for you, playing on a stage, writing a song, or recording your songs? Or maybe just hanging out to drink with your friends? Haha! They all sound fun to me! I enjoy all of those things though I get the most enjoyment out of writing and recording original music. It’s easily the most challenging of those things you listed and takes a lot of time to do it well but I personally find the challenge and work very rewarding. Of course, playing live in front of people is always fun for instant gratification and hanging out with your friends is a vital necessity to maintaining sanity. Rick and I get together with a bunch of friends one Friday each month for what we call our “Usual Suspects” beer gathering. All of us look forward to those outings. Do you have any interesting plans for the band and your music from now on? Absolutely! We’re recording new tunes as we speak and we are planning to shoot a music video next month which should be fun. Thank you so much for taking your time. Hope we will see you at a live show in Japan someday soon. 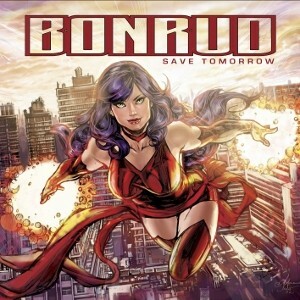 Release Info for BONRUD album "Save Tomorrow"